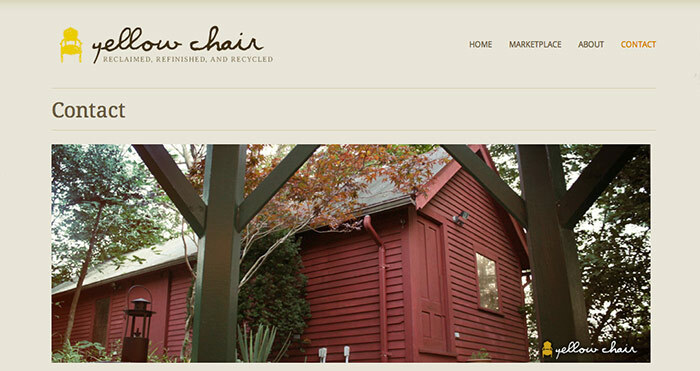 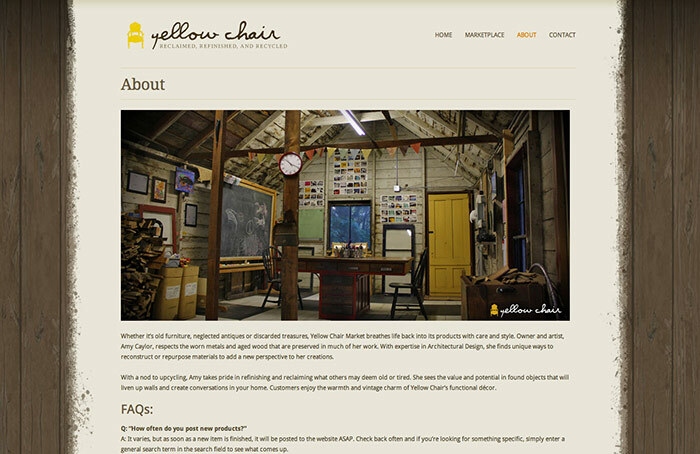 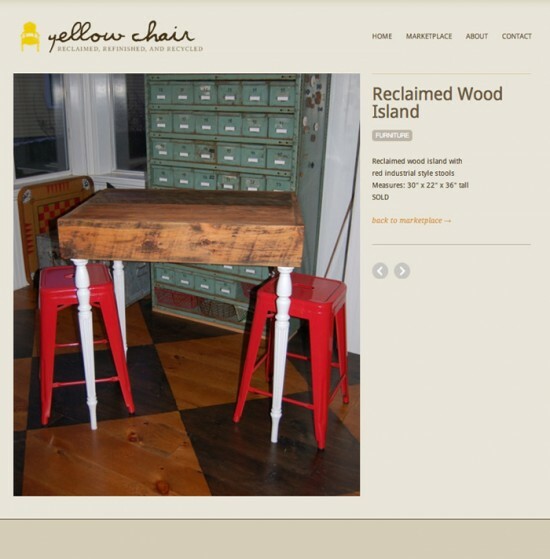 A website to show off upcycled products, furniture and decor by Yellow Chair Market. 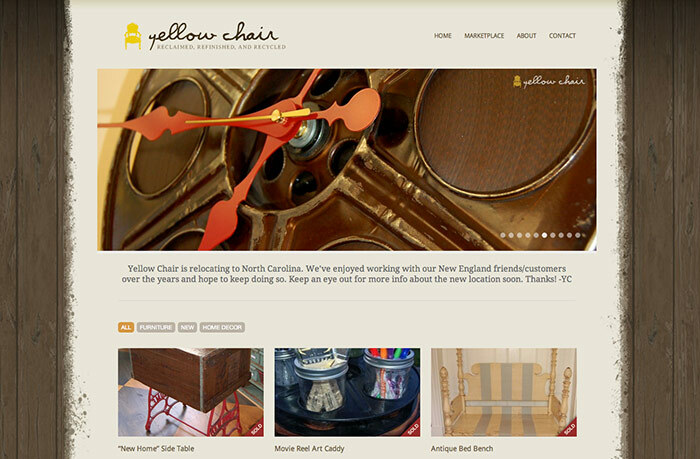 To create a warm, inviting online presence showcasing YCM’s vintage and creatively restored items. 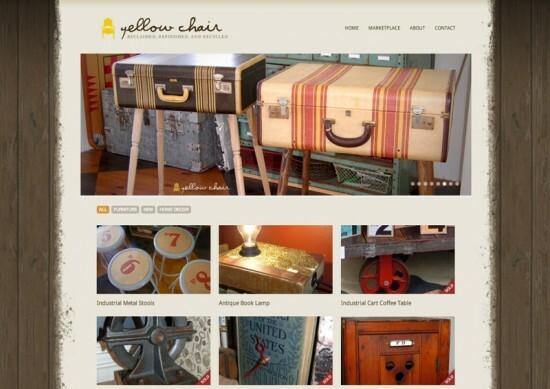 The site is built to be easily updatable when products are posted and/or sold. YCM sent pictures and descriptions of their work to provide us with inspiration to create a brand, establish a color palette and write the copy.